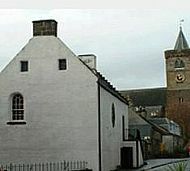 The Leighton Library, the oldest purpose-built library in Scotland, was founded on the collection of Robert Leighton, Bishop of Dunblane, 1661-1670, later Archbishop of Glasgow, 1670-1674. 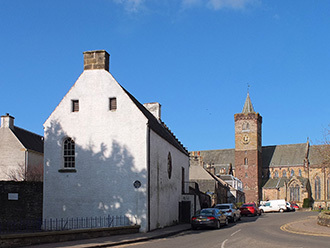 In his will, Leighton left a sum of money for the building of the library for use by the clergy of Dunblane diocese. Where is the Leighton Library? 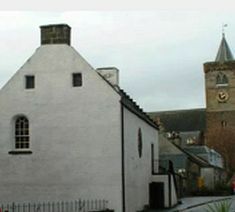 The library is situated close by Dunblane Cathedral. Click here for information about how to find us. The library was built in part from fallen stone from the nearby ruined Bishop's Palace. The total cost of the library was £ 162 2/6d. 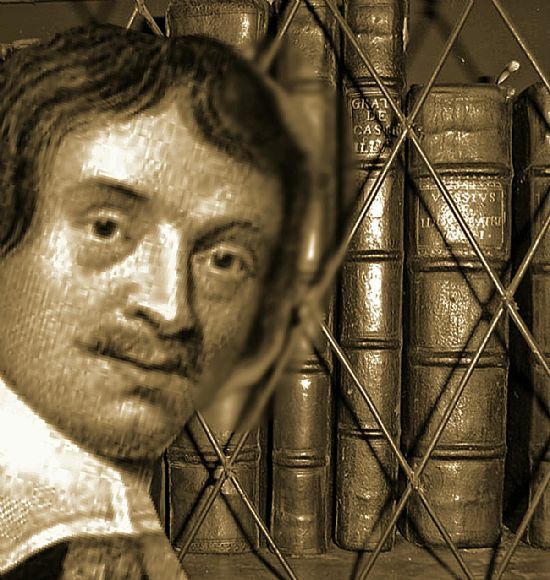 Leighton had retired to Sussex, where he died, and his books were transported by horse and cart and by sea before being installed in the completed library. The building is a two storey construction with the books situated in a single room on the first floor accessed by the original external staircase. The lower floor, or undercroft, originally functioned as the living quarters for the first librarian. What's in the Leighton Library? The library originally housed the books bequeathed to it by Robert Leighton, numbering around 1400. The first floor consists of a single room lined with presses. The original presses, on the left as you enter, hold Leighton’s books. These have been added to over the years so that the library now houses around 4,500 volumes printed in 89 languages, including Greek, Persian, Syrian and Gaelic. Still to be seen in the library are "Twelve chairs of turkie red lether", part of the original bequest. Under the guidance of volunteer custodians, visitors are allowed carefully to handle and inspect volumes from this collection, using the gloves provided. We hope that you will enjoy your visit both to this website and to the fascinating collection and building of the Leighton Library. Click here to find out more about the books within the Leighton Library. 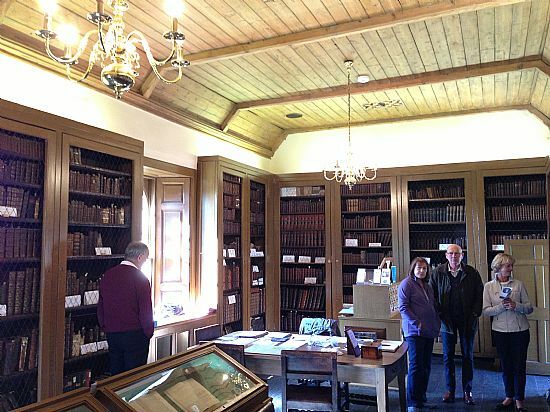 The library is open to the general public from the beginning of May until the end of September as follows: Monday, Tuesday, Wednesday, Thursday, Friday and Saturday 11am - 1pm and other times by arrangement with the Honorary Custodian, Michael Osborne tel: 01786 822034. In addition the library is regularly included in Stirling Council Doors Open Weekends in September each year. Please use the Donate button below to donate using PayPal, Credit or Debit card. Your support is very much appreciated to help ensure Dunblane's historic Leighton Library can be enjoyed for generations to come. The library originally housed the books bequeathed to it by Robert Leighton, numbering around 1400. The first floor consists of a single room lined with presses. The original presses, on the left as you enter, hold Leighton’s books. These have been added to over the years so that the library now houses around 4,500 volumes printed in 89 languages, including Greek, Persian, Syrian and Gaelic.